Popular Science reported earlier this month on Microsoft’s plan to create and install submersible data centers due to the energy required to keep the servers cool. In the United States alone, half of the power to power the Internet is used to cool the servers so they don’t overheat and crash. This mimics past attempts at using liquid-cooling systems but without the additional power requirements to operate such devices. Project Natick is still in the research phase. Microsoft ran a successful prototype–over a period of several months–last year. The test was done one kilometer off the Pacific Coast. The proximity to land was required since the datacenter required terrestrial power but looks to make the switch to wind or oceanic current energy power conversion in the future. Some of the project rationales include providing quick deployment and latency reduction due to proximity to coastal populations and temporary usage for large events like the World Cup or the Olympics. For more information, check out this article from Popular Science or the Project Natick page here. New cockroach inspired robot designed by UC Berkeley professors built to move while under compression. GIF Credit: MIT Technology Review. Two researchers at the University of California, Berkeley have developed a robot that took its inspiration from a cockroach. In a paper published on February 8th, Robert Full and Kaushik Jayaram explain how the malleability of a cockroach exoskeleton which allows for movement in compressed spaces can be applied in robotics. They then built a device–a compressible robot with articulated mechanisms (CRAM)–from several folding exoskeleton-like plates. They speculate that its malleability and strength make it ideal for exploring collapsed buildings (like in a rescue scenario). 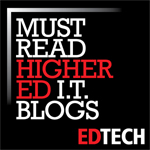 For more information, check out this article from the MIT Technology Review or click the GIF above. The video above produced by The New York Times describes the method in which gravitational waves were detected on Earth for the first time by the Laser Interferometer Gravitational Wave Observatory (LIGO) in Washington and Louisiana. Albert Einstein’s theory of general relativity predicted that the acceleration of massive objects would ripple the fabric of space and time sending out gravitational waves. Today’s report is a confirmation of the first detection of such a wave. For more information on this new discovery, check out the full article by The New York Times. The artificial intelligence system that operates self-driving cars developed by Google/Alphabet is now considered the driver by the National Highway Traffic Safety Administration (NHTSA) according to an exclusive report from Reuters. The system which “has no need for a human driver” will be treated as separate from the vehicle’s occupants. This now will clear the way for Google or other automakers developing driverless systems to develop systems that communicate directly with their cars. However, current federal law does not allow for steering wheels and brake pedals to not be part of the vehicle. 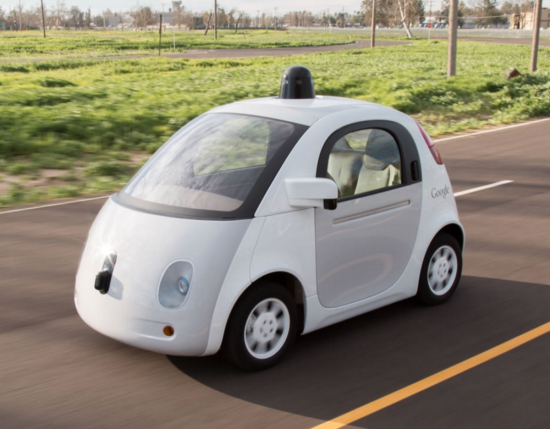 NHTSA said then it would write guidelines for self-driving cars within six months. Transportation Secretary Anthony Foxx said the administration may seek new legal authority to allow deployment of autonomous vehicles “in large numbers,” when they are deemed safe, the department said. For more on this subject, check out the article from Reuters. Click on the image above to read a related article from Popular Science. ArsTechnica is reporting that Mac OS X Yosemite (10.10) and El Capitan (10.11) are vulnerable to man-in-the-middle (MITM) hijacking through Sparkle, a third-party software framework that certain third-party apps use to receive updates. In a MITM attack like this one, the software is made vulnerable during the update process and malicious code can then be installed to take control of the computer. There is a patch available (at the time of this post) but use of it has to be taken care of by the developer. Sparkle’s documentation does note that due to how it works, software that uses it can be vulnerable without making a few modifications at the developer level. 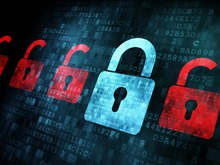 The vulnerability has been found so far in versions of Camtasia, uTorrent, and VLC Media Player. For information on how the vulnerability was discovered (it is pretty advanced), check out this summary from Radoslaw Karpowicz, the man who found it. For more information on this vulnerability (in more layman’s terms), check out ArsTechnica.com. The largest solar plant in the world, the Noor 1, outside of the Moroccan city of Ouarzazate on the edge of the Sahara Desert, was activated this week. The plant spans thousands of acres and is now generating about 160 megawatts of power. The plant’s next two phases will bring the generation capacity to 580 megawatts by 2018. Right now, the plant is comprised of 500,000 curved mirrors standing roughly 40 feet tall. The mirrors concentrate the sun’s light onto a pipeline filled with fluid, heating it up to 739ºF. This superheated fluid is used to heat up a nearby source of water which steams then spins turbines to create energy. The plant can still operate at night by storing the heat in to tanks of molten salts. For more information, check out these articles from The Guardian and from The Verge. Trustees of the British Museum/Mathieu Ossendrijver. Even when a culture leaves behind extensive written records, it can be hard to understand their knowledge of technology and the natural world. Written records are often partial, and writers may have been unaware of some technology or simply considered it unremarkable. That’s why the ancient world can still offer up surprises like the Antikythera Mechanism, an ancient mechanical computer that highlighted the Greeks’ knowledge of math, astronomy, and the mechanical tech needed to tie them together. It took several years after the discovery for the true nature of the Antikythera Mechanism to be understood. And now something similar has happened for the Babylonians. 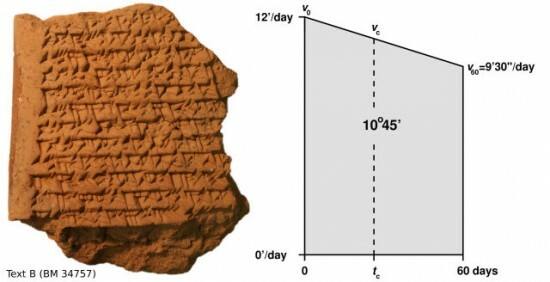 Clay tablets, sitting in the British Museum for decades, show that this culture was able to use sophisticated geometry to track the orbit of Jupiter, relying on methods that in some ways pre-figure the development of calculus centuries later.